The GlenAllachie Distillers Company, has today announced details of its first export deals under its new ownership, along with a number of new senior appointments to its sales team. The first distributor to stock GlenAllachie will be Belgium-based Premium Spirits. The company has also signed deals with distributors covering twelve countries, including: China, The Netherlands, Taiwan and France. Last year, Pernod Ricard sold the GlenAllachie distillery to a consortium headed by former BenRiach Distillery Company Managing Director, Billy Walker, for an undisclosed sum. The company has also announced today, the appointment of David Keir as GlenAllachie’s Sales and Marketing Director, who brings with him more than 20 years’ experience working across a variety of retail and marketing roles. 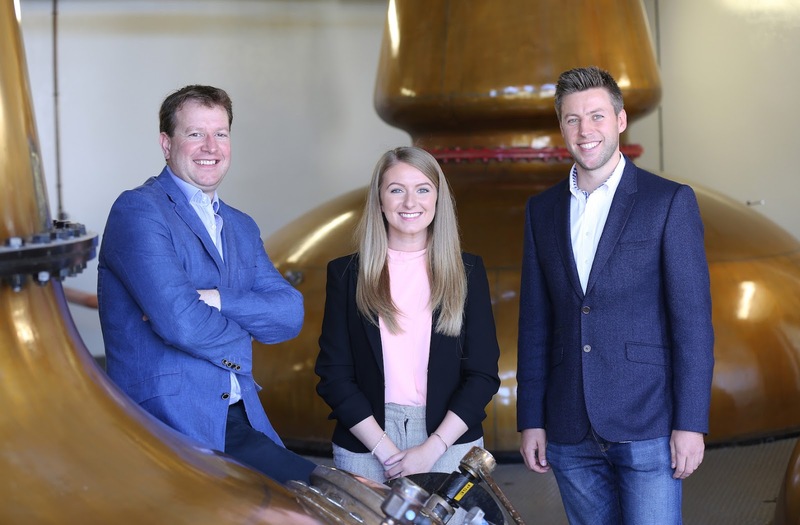 David, will be joined in his new role by Colette Savage who becomes GlenAllachie’s Marketing Manager; Ally Stevenson, joins as Sales Manager along with Administration Manager Lorraine Walker. The latest appointments follow on from the news of Richard Beattie being appointed as the company’s Operations Director. Beattie was previously Director of Distilling at Mossburn Distillers, the parent company of Torabhaig Distillery on Skye. He went onto say: “These first orders from twelve countries prove that there’s demand out there for the high-quality single malt that has been produced at the distillery over the years. Along with these confirmed deals we’ve had strong expressions of interest from around the world including Asia, and will be attending Vinexpo Hong Kong with a view to finalising these. In fact, we’re hopeful to have confirmed distribution in over 30 countries, including the USA, by the time we launch in June." The company also announced that it will be involved in developing the MacNair’s and White Heather blended Scotch whisky brands. GlenAllachie’s core range of aged single malt Scotch whiskies, ranging from a 10 Year Old to 25 Year Old, will be launched in June this year.